If you're looking for used hotel furniture in Las Vegas, there are some resources that can help. 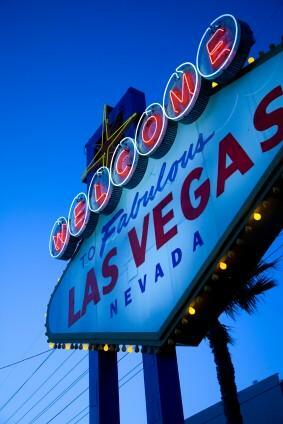 The undisputed mecca for gently used hotel furniture, Las Vegas hotels typically have the budget, design savvy and sheer volume of room suites to make locating the style and quality you need easy. Hotel furniture is built to take some wear and tear, but often doesn't. Side tables, ancillary seating, work tables, television armoires and dressers are typically under utilized for the practical life of most hotel furniture. Usually a hotel's furniture is changed out every three to six years. The higher end the hotel, the more often it's updated. This isn't because the pieces themselves are beginning to show wear, but because the signature style of the hotel itself and competition from other hotels in the area call for frequent design changes. This is an expense for the hotel but a great opportunity to save for you. Because hotels will often change out large blocks of rooms at one time, used hotel furniture is typically sold off to middlemen that can deal with large volume turnovers. This usually means liquidators and auction houses. Smaller hotels and motels may handle updates a little differently, selling to used furniture establishments, consignment stores and other sources. Even thrift stores are sometimes used in order to take advantage of the tax benefits for charitable donations. Another advantage of buying used hotel furniture in Las Vegas is the opportunity to purchase high quality, upscale furniture for less. Because a town like Las Vegas has many high priced venues, sleeping accommodations can be equally plush and impressive. When rooms in exclusive hotels are redecorated, all of that furniture goes on the market at lower than retail prices. Many of these pieces are made by well-known, name brand furniture manufacturers and are fitted out with designer fabrics and finishes. With a little research and some patience, you can benefit from the bounty and decorate a bedroom, living room or family room with quality furniture often for less than you'd be able to afford otherwise. Aside from local liquidators and auctioneers, reading the Las Vegas newspapers can be a great way to know what's going on at the major hotels. In a local economy so dependent on the hotel trade, gossip and news snippets will help you know when it's a good time to start calling around to secondhand outlets. If you or a friend works for a hotel, you may have access to an employee discount on furniture that is being replaced too. Hotel Furniture Liquidators - Las Vegas and Canada. They do custom shipping. If you can't afford luxury furniture brand new, used Las Vegas hotel furniture just might be the next best thing. If you don't find a style you love on your first try, wait a while and check again. With so many hotels on the strip, there will be more offerings every few months, and one of them is bound to suit your tastes.